Art lovers will soon be able to view Yayoi Kusama's psychedelic, immersive work "LOVE IS CALLING" in its new permanent home at the Institute of Contemporary Art in Boston (ICA/Boston). 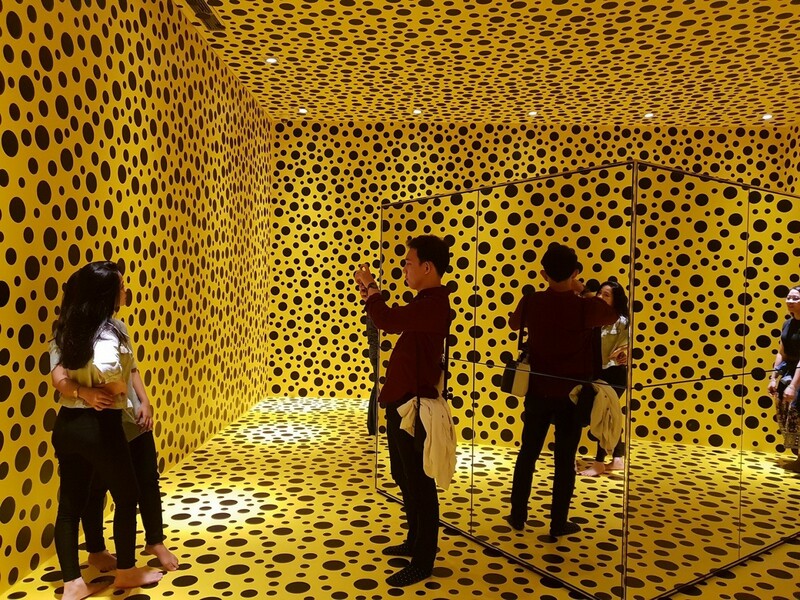 The 2013 work, whose acquisition by ICA/Boston was announced this week, is one of Kusama's 20 existing "Infinity Mirror Rooms". The immersive installation offers a psychedelic environment featuring vividly colored, tentacle-like, inflatable sculptures covered with the artist's signature polka dots, all of it within a mirrored room that creates an illusion of infinite space. "LOVE IS CALLING", which premiered at Mori Art Museum in Japan, joins one other Kusama work in the ICA/Boston collection, a 1953 work on paper depicting organic forms, dots and colors. "'LOVE IS CALLING' showcases the breadth of the artist's visual vocabulary -- from her signature polka dots and soft sculptures, brilliant colors and the spoken word, to endless reflections and illusions of space and self," said Jill Medvedow, the museum's director. The work is set to go on view at ICA/Boston in fall 2019.